“This is one of the most beautiful places in the province,” Tim Fedak says as he begins a tour Saturday of Wasson’s Bluff on the Minas Basin, 8.5 kilometres east of Parrsboro. 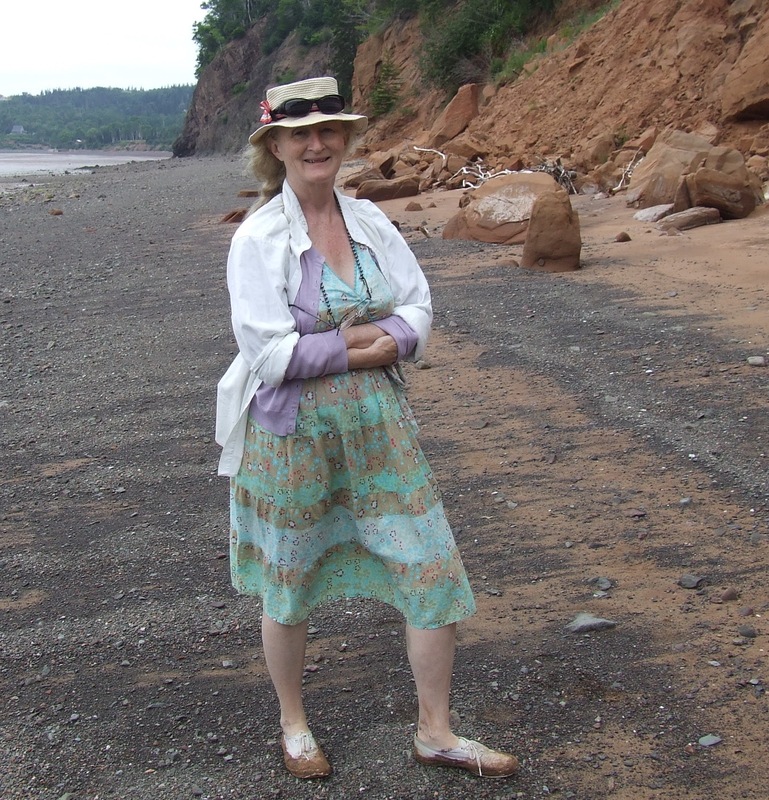 The director/curator of the Fundy Geological Museum is leading a small group that includes a visiting couple from Holland, a Ship’s Company actor and the author of the Wikipedia article on Wasson’s Bluff. As he scans a red sandstone cliff, Fedak says that if you want to find a fossil, you have to believe you’re going to find one. Fedak himself has discovered the remains of several 200 million-year-old dinosaurs since he first started looking here in 1997. 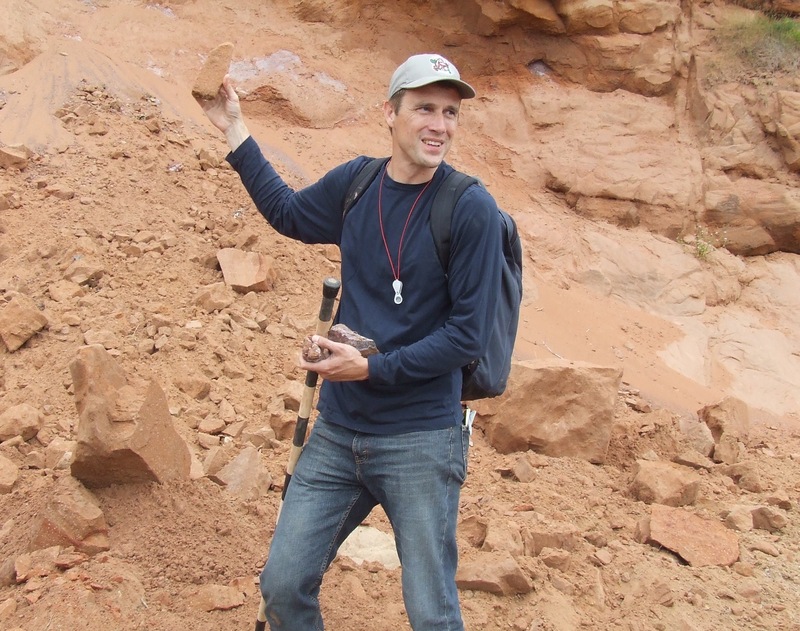 He points out, however, that under provincial legislation, fossil hunters need a permit before using rock hammers on the protected cliffs at Wasson’s Bluff. Fedak tells the group that this year, he found three deer carcasses along the shore. He adds that may be one reason why so many dinosaurs died in this area and got preserved. Fedak says dramatic events were happening 200 million years ago during the boundary between the Triassic and Jurassic geological periods. Massive earthquakes shook the landscape as billions of tonnes of molten rock spewed into the air from deep inside the earth. Today, that ancient lava forms the imposing grey basalt cliffs that contain many exotic-looking minerals. The red sandstones that covered and preserved ancient fossils formed about 40,000 years later, a mere eye-blink in geological time. As the tour ended, Ship’s Company actor Mary-Colin Chisholm said she found it “very sad and disturbing and wonderful” to think that the unique fossil record depends on the slight difference in age between sandstone and basalt. She also said she has trouble imagining a span of 200 million years. This entry was posted in Fundy Geological Museum, Ship's Company and tagged basalt, fossils, Mary Colin Chisholm, sandstone, Tim Fedak. Bookmark the permalink.